Here’s a fun cover by MICHAEL BYERS for The Real Deal. 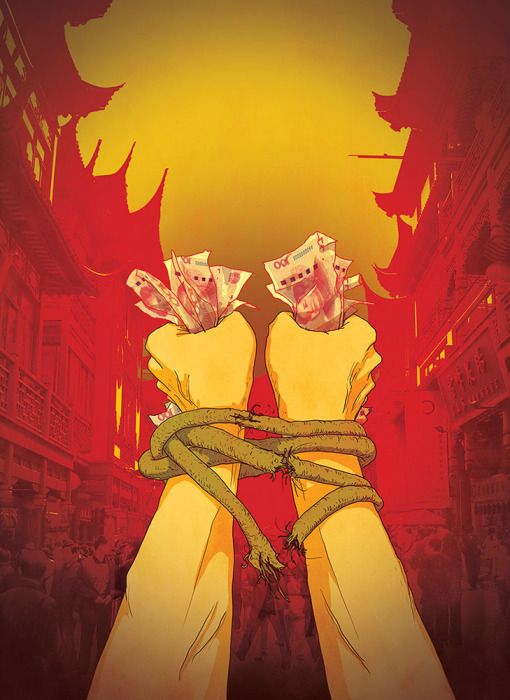 It was for their cover feature on China and how China’s capital controls are affecting New York City. Beijing is cracking down on it’s outgoing capital hence putting billions of dollars in jeopardy in New York City.